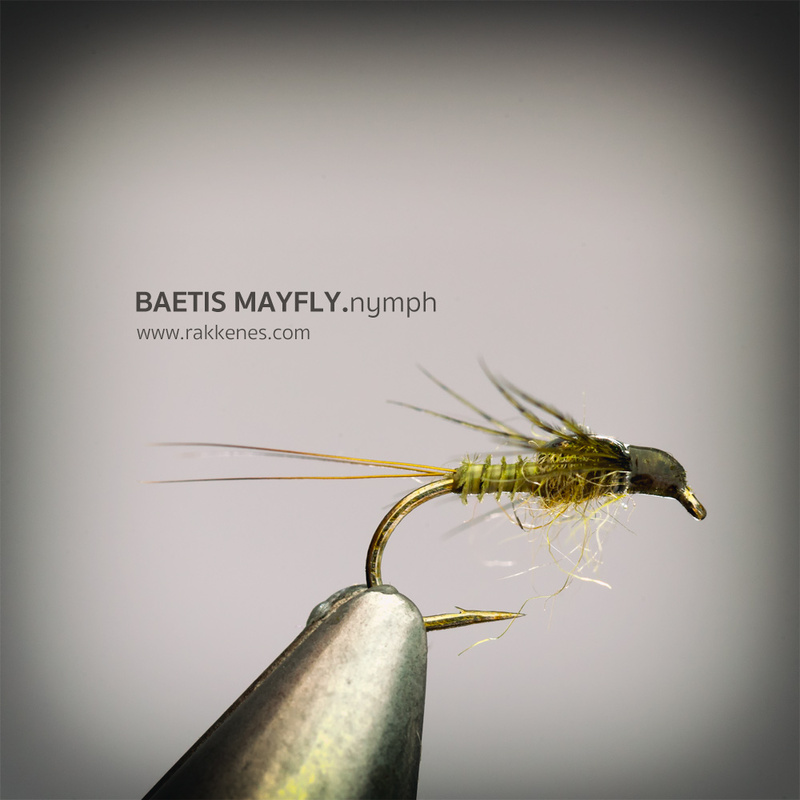 The Baetis Nymph is a slender little bug that’s easy to tie where the point is not to try to overdo the effects in order to create an efficient fly. 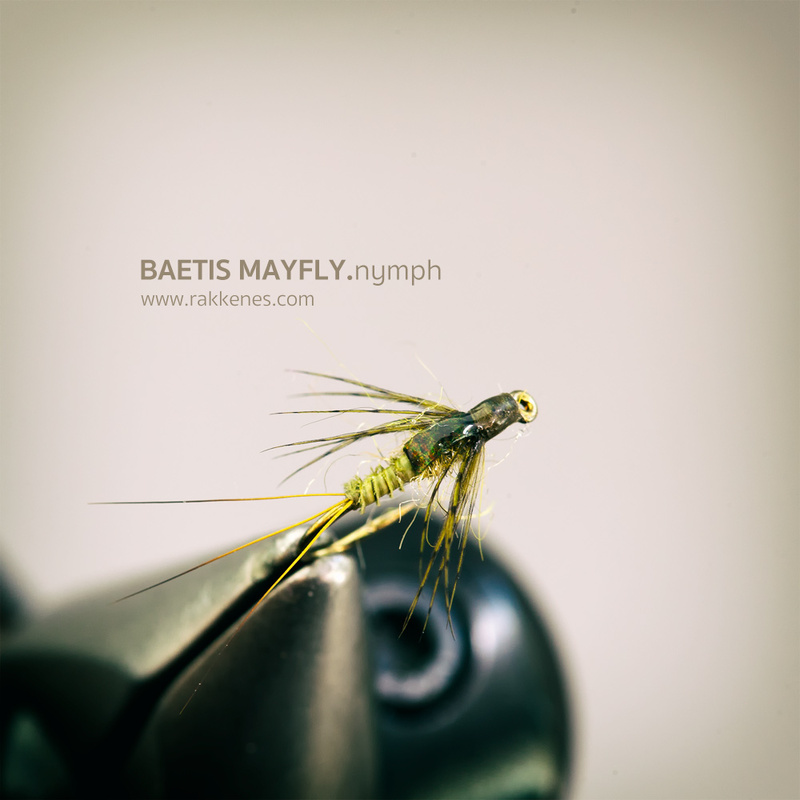 This is and Sawyers PT nymph are my go-to fly when fishing the early hatch cycle. I am not an advanced nymph tier. I use pretty standard patterns since I find that they are the most efficient. 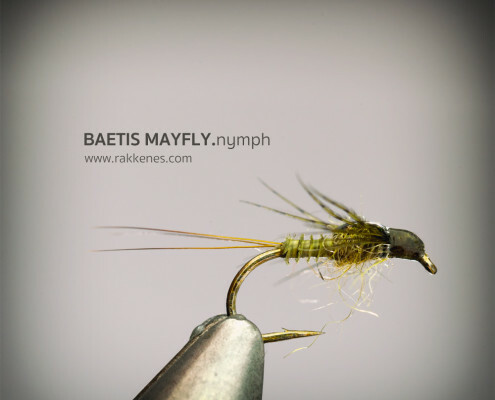 Going crazy on the effects side doesn’t contribute to the efficiency of the Baetis fly. This pattern is not mine, but I guess it’s one of the most widely used in the world. The reason is quite probably due to its efficiency. The trout often take the Baetis Nymphs pretty high in the water. Therefore you should fish them high and thus use little weight on the hook. Just a few turns of 0.15 lead wire is enough. The turkey biot is perfect for the job. Tying it in correctly you will get a nicely segmented body with a suggestion of gills between the segments. 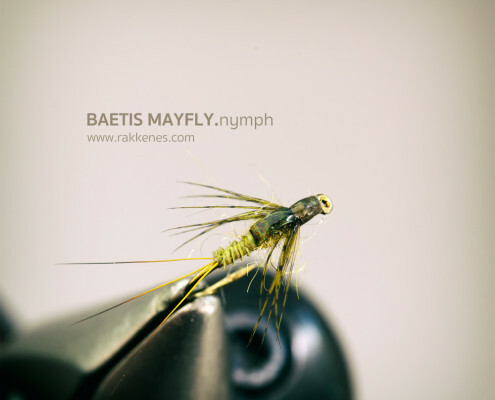 I like to use natural tailing material for my nymphs. You can either use deer or elk hair for the job, but if you want a stiffer and more durable material I believe the badger is an attractive alternative. For the thorax – use some natural spiky dubbing to add to the buggy feel. Hook: A heavy wired dry fly hook 14-16. Here I have used Tiemco’s TMC 921 size 14. Free drift – no drag. Fish with a short 9ft leader and have the guts to use a 4X or 5X tippet. Many prefer to use Fluorcarbon leader and tippet. I use both mono and FC.